One thing that I noticed first was that TV's are now everywhere, just like in that show (although not littering the landscape, thank goodness). Even before mobile devices became a thing, I noticed that there are now TV's in most restaurants (not just bars), and in many stores. This is especially true here in the south, where so many people are huge college football fans. When we lived in Tuscaloosa, you could not get away from any of the Crimson Tide games if you left your house. They had the game playing on the radio in the supermarket over the loudspeaker. Even the mall fast food places had TV's where you could watch the game. 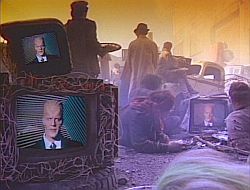 Leaving aside football, there are still way too many TV's, all over the place, just like in "Max Headroom." Also, everyone now has smartphones or tablets, so we all carry our TV's with us (Alas, smartphones are one thing that the show did not predict). Advertising is also everywhere, much more than before. Sure, we always had some sports advertising, but nothing like today. If you go to a major league game, you will see ads all over the stadium or arena; they move and change frequently. They're in the program, as well as on the scoreboard, and all over the stadium, flashing constantly at you. That seems normal now. If you had time-traveled from the 1980's (or before) to now, your senses would feel assaulted by all of the noise, sounds and music we see in every single public place. 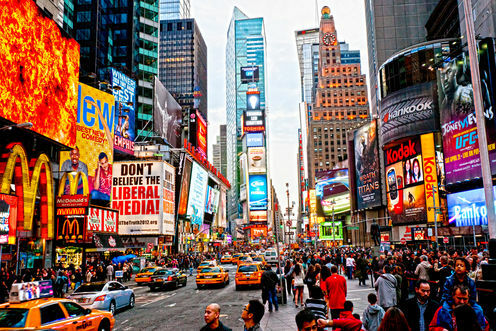 Even places that are typically noisy, like a crowded downtown, or a Las Vegas casino, are way noisier than they used to be, especially from all of the advertisements. We're constantly being bombarded with noise from traffic and our personal devices, but also from these public noises. This can cause hearing loss, depression and other problems. Of course, we also see lots of advertising on television, in movies and on the internet. TV advertising has been around since TV started. 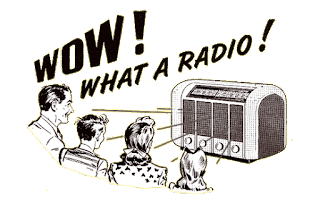 Radios didn't have commercials until the 1920's, when radio manufacturers and department stores started radio stations in order to sell radios. From almost the start, the point of streaming audio or video was to sell. First the goal was to sell radios, and then they moved on to other products. 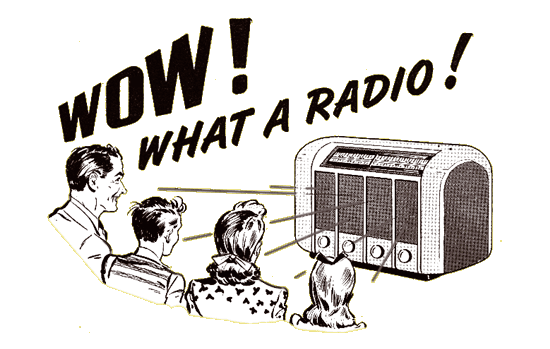 Radio advertising was, and still is, a big business. 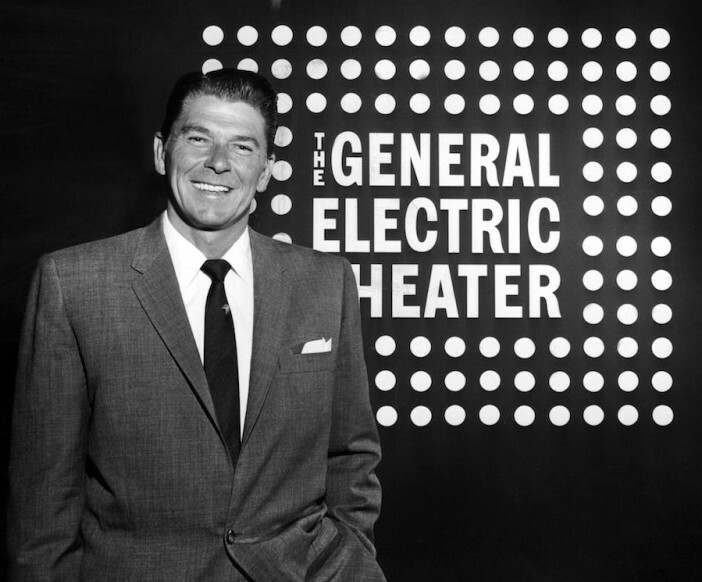 At first, radio ads were controversial. Just like ads on the internet, nobody really wanted them, but radio stations realized they needed to have them in order to make money. Like radio, TV networks were created in order to sell TV's. TV programs were just ways to entice people to watch advertisements. The first TV commercial aired in the 1940's. TV advertisers often influenced the program's content as well. Long before we had "infomercials," the hosts of TV programs would often sell products during the sponsored program. In the 1960's, NBC started to sell TV advertising spots to other sponsors. As someone who talks, writes and reads a lot about TV, I think most people forget that TV and radio, as well as many parts of the internet, are businesses first and entertainment second. When their favorite shows get canceled and they wail, "Why? It's such a good show!" the answer is usually "because it had low ratings." Quality of entertainment and high ratings do not always go together. If the show doesn't get good ratings, then they can't sell advertising for it, so they have to cancel it. That's the way business works. Because TV has been in all our lives since we were small children, we think of it as just a piece of furniture, not something that millions of people use to make money. New programming content has to be paid for from advertising or subscription. 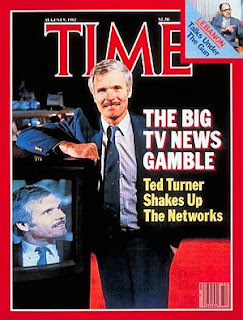 When cable TV first got popular in the 1980's, consumers were told that this newfangled thing would be better than regular TV. According to my mother-in-law, who still gets annoyed about this, we were enticed to pay for it because it had no commercials! I used to think that was just something she said, but now I've seen many people online wondering that same thing. No one seems to have a definite answer about where they heard it, but perhaps the cable networks salespeople used this pitch to get people to sign up for it, even if it wasn't true. Premium channels like HBO and Showtime have always featured movies and shows with no commercials and without being cut, but I'm talking about basic cable. Even PBS and NPR have some ads now because their funding from the government has been cut so much. 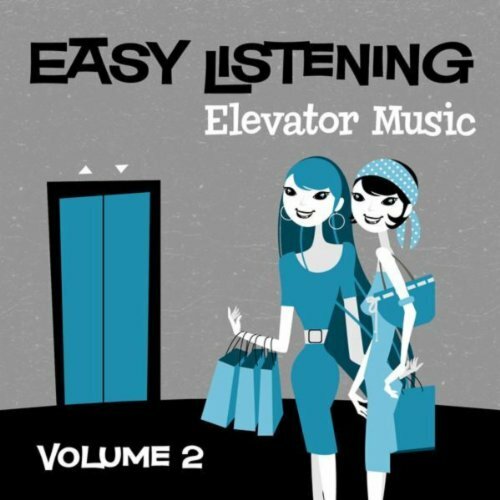 We hear a lot more music in public places than we used to, as well, and that's also used as marketing. 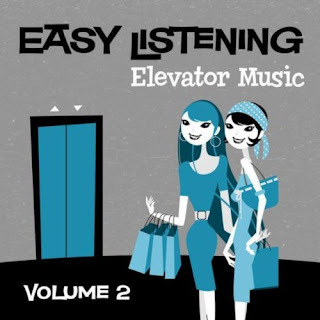 They used to play bland music in public (what we called "elevator music"), but now the music is tailored to create a certain mood that goes along with the restaurant or store's atmosphere. The music affects consumers, and their choices, without their even knowing. This contributes to the public noise. It used to be that you would only hear music or TV in certain places. 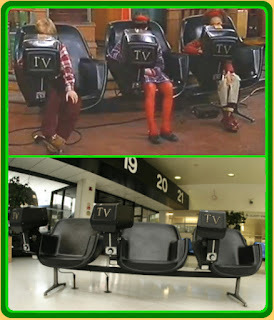 TV would only be found outside of your home in a store that sold TV's, or in a sports bar. Now they're everywhere, as I mentioned before. I remember, as a kid, this really cool thing you could see at an airport, laundromat or train station: They had little TV's connected to your chair, and you could put quarters in to watch the TV for a certain number of minutes. Now, they just have the TV on a the wall, or hanging down, for all to see. Often, the sound is turned down on the TV, but sometimes it'll have closed-captioning. It seems like there are two types of people: Those who want a TV to watch while they eat or drink, and those who don't. Loud background music or loud TV's used to bother me, but now that everyone has their own Smartphone or tablet, it seems pointless to complain. We're all used to tuning out the noise and distraction, for the most part. Next time you go into a public place, notice how many people have their phones out, reading or watching videos on them, rather than talking to a real person. 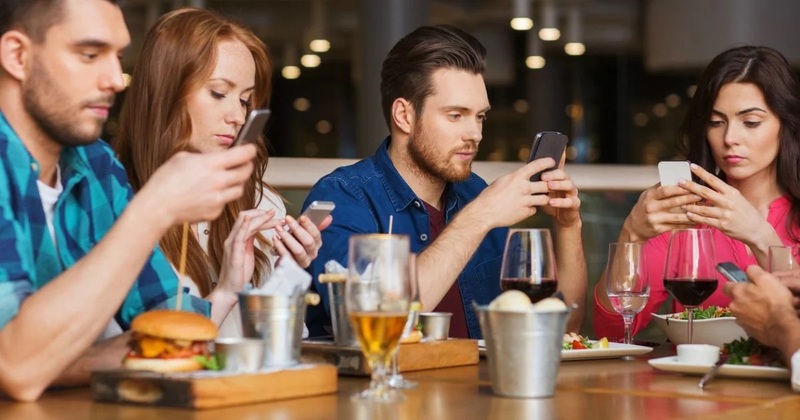 Even if you see a group of people, they're all looking at their phones. Of course, all of those phones have advertising, and most have videos. Millennials get a bad rap for texting all of the time, but it's really people of all ages that are glued to their phones 24/7. They are addictive. Advertising in movies has also changed. You didn't use to see any real commercials before the movie. You only saw previews or "coming attractions" of other films. Sometimes they would show some trivia or static ads (easy to ignore), or a short cartoon, if you were at a matinee, but no commercials. The first time we ever saw a commercial was when they asked for money for a charity, the Will Rogers Institute. After the commercial, the ushers walked down the aisles with a bucket, so you could donate money (kind of like the church collection plate). We were pretty insulted that they would be asking for money during a movie we paid for. Apparently this has been going on since the 1930's, but we didn't see it until the 1980's. Real ads started showing up in movie theaters in the late 1980's. We were incensed by this practice. If we wanted to watch commercials, we'd stay home and watch TV! 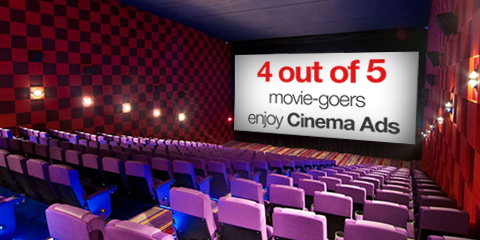 You're a captive audience for these ads when you're at the movie theater. 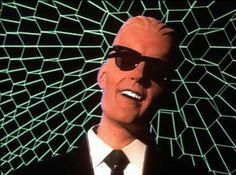 Now they also show a good half hour of commercials, followed by another half hour of trailers, and then several more ads that remind you to turn off your cell phone, don't talk, and don't throw your trash on the floor (and remember to return you 3D glasses). By the time the movie starts, I've usually forgotten what movie I'm there to see. I'm not exaggerating or kidding, either. With such high prices for tickets and food, it's ridiculous that we also have to sit through so many ads. I don't mind movie trailers, but they have too many, and they go on too long. When the internet first started, there were no ads. 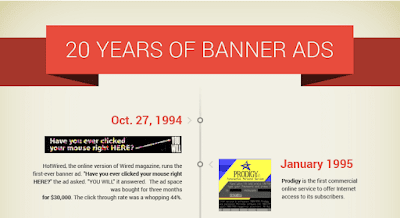 Then they came out with banner ads in 1993; the ads were only static banners. I was working for Ask Jeeves not too long after that (a search engine - this was before Google came out) and our site started putting one ad at the top of the page. Pretty soon, there was an animated banner, or what we called a "flashing banner." Everyone found it annoying and distracting. However, it did grab your attention, so pretty soon, all ad banners were like that. Eventually, the ads got even more annoying and intrusive. Now we have streaming videos, and those are used all of the time for ads. How many times have you gone to a site, and all of a sudden some video ad starts playing? Personally, I hate that. Besides regular GIF ads, they also have floating banners, where the ad floats across your screen (also very annoying). The animated GIF format was created in 1987 by the company Compuserve. I couldn't find any site that told the date of the first time a GIF was used in an ad banner, but I seem to recall it was sometime between 95 and 97. In the late 90's, pop-up ads were developed, but they became more prevalent in the early 2000's, after the dotcom bubble burst. Then they morphed into pop-under ads, which are slightly less annoying. Google started their Adwords service and created textually relevant ads. These ads are text or banner ads that appear to be relevant to the content around the ad. There are also interstitial ads, which cause a page to come up with an ad, and then you can either read the ad or skip it, after waiting a few minutes. I find these to be very annoying ads, and I would never use them because I think they would drive visitors away. 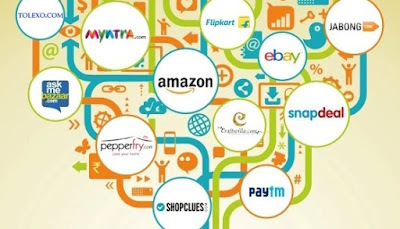 Google also has search ads; an online business can put a Google search box on their site, and if a visitor uses it, the business gets some money. Video ads are everywhere now, and they're far more annoying than the animated GIF's ever were. Sometimes they'll have an X to get rid of the ad (often, it's hard to find that X); or a mute or pause button. Sometimes the video and sound will just start up as soon as you bring up the page, which is irritating. These are basically commercials, like the ones you see on television. Video ads are prevalent on YouTube. If you want to watch a YouTube video, you often have to watch a short ad first (or part of it), unless you pay the $10 monthly fee for YouTube Red. 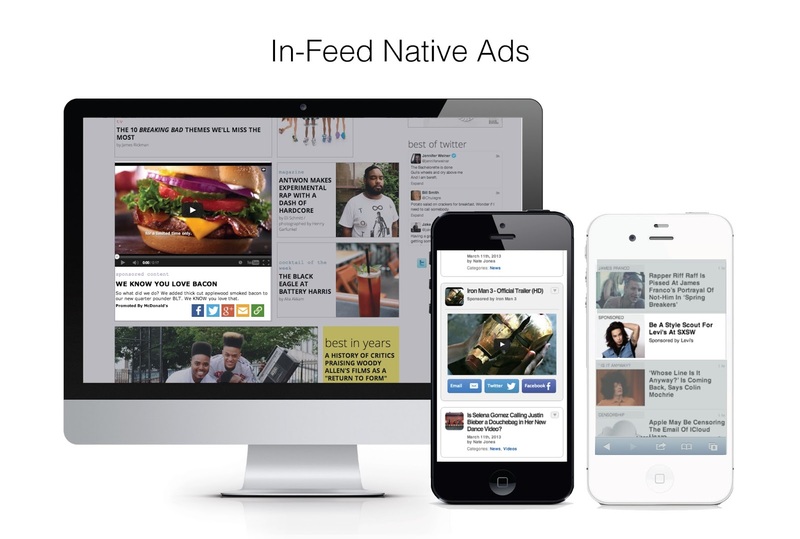 Native ads are very big right now. These are similar to the textually relevant ads. These are ads that seem to be part of the article you're reading, but they're not. They're very deceptive ads. 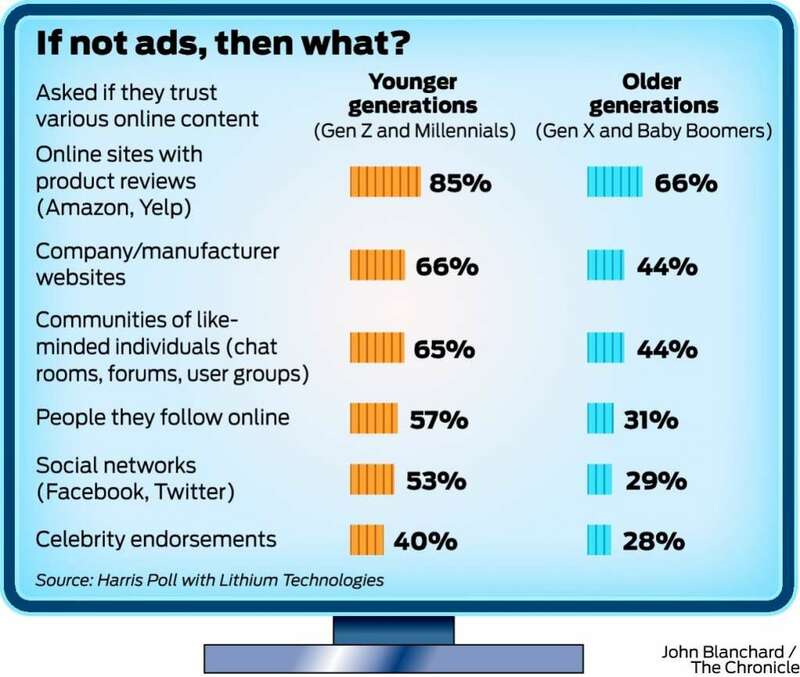 Whether you're on a desktop, laptop, tablet, or phone, you're going to see all of these types of ads. There have been quite a few attempts to counter ads. When we first had VCR's, one advantage was that you could fast-forward through the ads of any show you taped. You can do the same thing now with DVD's and DVR's. 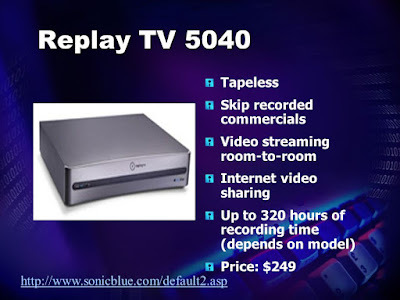 When DVR's were first around (by ReplayTV), they automatically skipped the commercials. They were sued by the TV networks, who didn't like their commercials being skipped. ReplayTV went out of business before the issue could be settled. TIVO and other DVR's don't automatically skip the commercials, but it's pretty easy to use their skip ahead buttons to do so. Now they've come out with this new type of DVR called Plex that may take the commercials out of your recorded shows automatically. 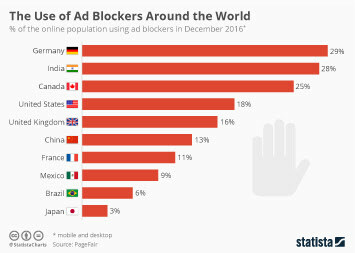 Now people can easily skip most of the ads on the internet by using ad blockers. As long as the sites keep coming up with new ways to show ads, then the ad blockers will have to keep finding ways to block them. It seems to be an ongoing battle, and most people online don't even bother to use ad blockers (some browsers do have pop-up blocking features that are automatically enabled). 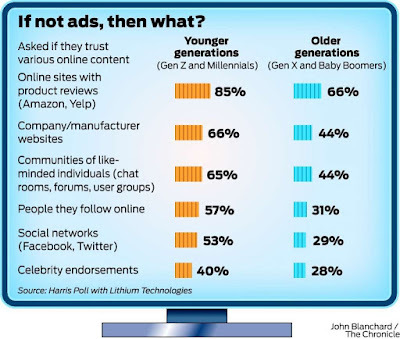 Everyone hates commercials and advertisements, yet ads seem to be inescapable. Someone must be clicking on them, so we must not hate them as much as we claim to hate them (or, we put up with them because we really like to have our entertainment). 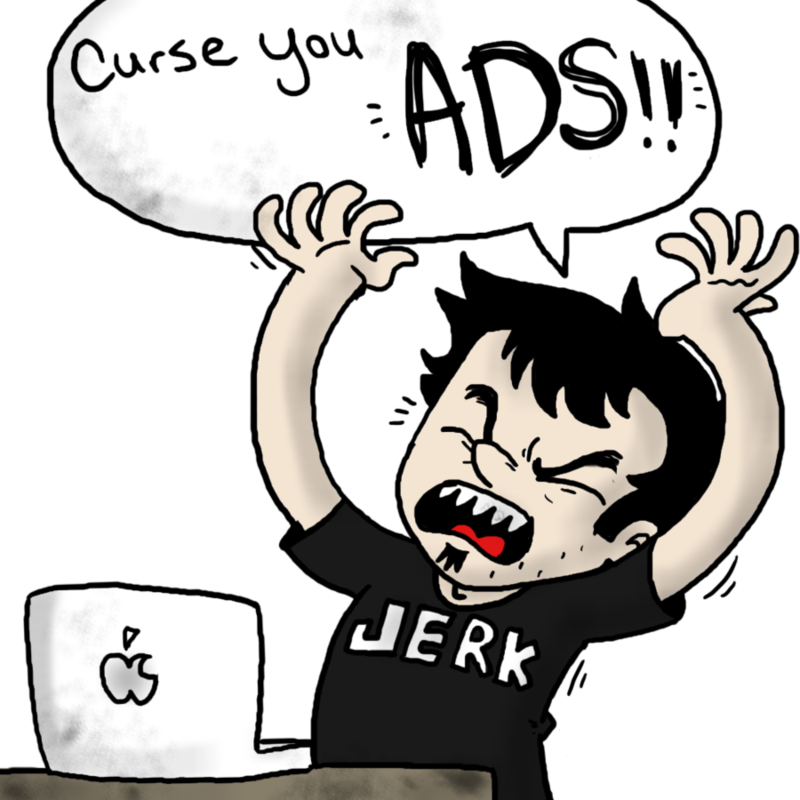 Speaking as someone with a website business, I wish I could get rid of all ads on my site, but they seem to be necessary to make money on the net, for those of us with content who don't actually sell anything. I've had people suggest to me that I put in a pay wall instead, like many newspapers have done. It works like this: if you want to read this article, you have to subscribe. I just don't know if enough of my visitors would bother to pay for our content. I would hate to drive away the ones we have now, that might click on the ads, just to try out a pay wall. 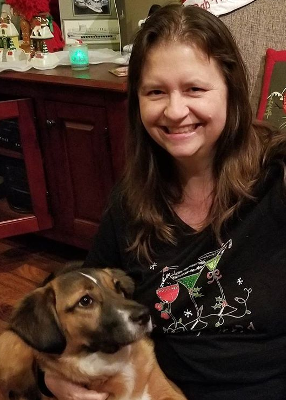 If I just wanted to make money online, I think I would sell something because that seems to be the easiest way to do it. My site is more about creating content, not selling, so that's why we need ads. 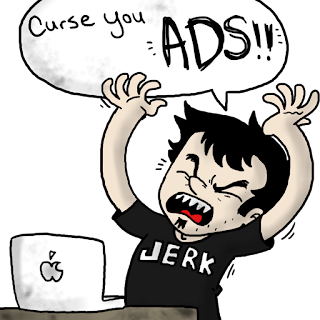 I wish someone would come out with an ad network that had nothing but funny or entertaining ads -- then having ads might actually be a plus! The bottom line is that we live in a free market economy. As long as we keep spending money on entertainment that has commercials, they will keep putting out commercials. If people really objected to the ads, they would stop doing these things and only watch DVD's or read a book. People put up with the ads to see the content they want. Advertising is a model that seems to work, no matter the medium. 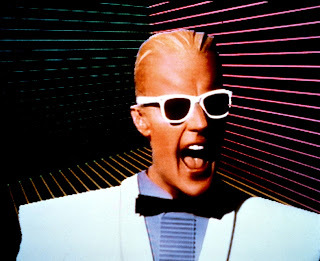 Commercials will only get worse, until maybe we'll have the blipverts that Max Headroom" predicted (ads beamed directly into our brains).